On Rakshabandhan, usually the sisters tie a Rakhi on their brothers’ hand and pray for their well-being and the brothers offer a very special gift to their sister, as a symbol of care and love towards them. If you haven’t planned what to gift to your sister yet, planned what to gift your sister on this Rakshabandhan, then Japji Travels is here to solve your problem. 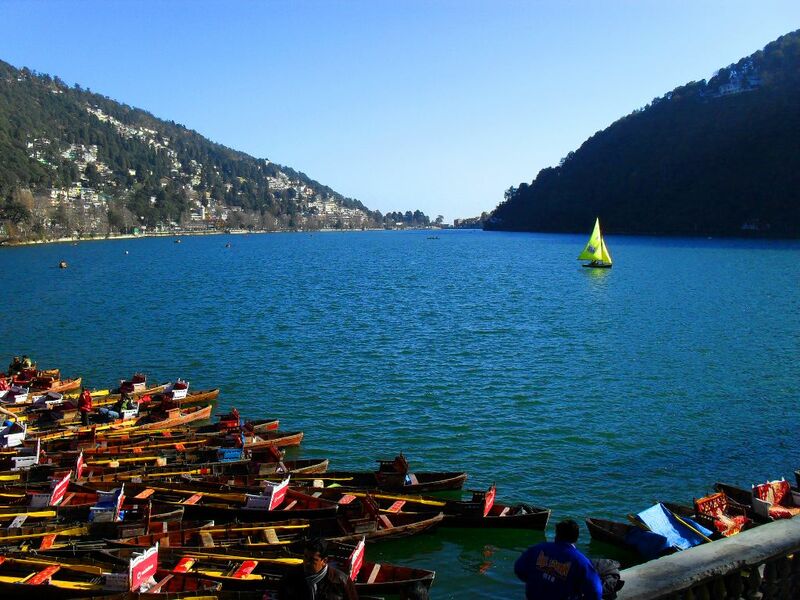 How about a weekend trip to Nainital? Sounds quite interesting, right? Nainital, a famous hill station situated in the state of Uttarakhand is a perfect blend of calmness and beauty. What can be more special than to take your sister to this place and make her see the exquisite mountains and the deep valleys? You can visit The Naini Lake, The Nainital Zoo, The Eco Cave Garden and many other such places which are the latest attractions of the place. Just contact the Japji Travel, a holiday tour packages India provider and enjoy your trip! Another place that can be planned out is the Jim Corbett National Park, in Nainital, which is one of the oldest parks in the country. The place is worth visiting because of the fascinating flora and flaura that is seen there. The beautiful landscape, The Corbett River, the ecological characteristics, all seem to be lovely. This adventure travel will include a jeep safari into the jungle and if you are lucky, you might even spot a tiger there apart from deer. Make this Rakshabandhan a memorable one for your sister by planning such a wonderful trip. Need any help? Contact Japji Travel, one of the most famous tourism operators. Do not ponder much. Just make the bookings right away! And yes, rest assured your sister will love your thought.. After all its all about the bond of brother and sister that gets rejuvenated. This entry was posted in Tourist Attractions and tagged adventure travel, holiday tour packages india, jeep safari, Jim Corbett National Park, Nainital. Bookmark the permalink. ← If you are a Krishna devotee, which places in India are a must visit? If you are a Krishna devotee, which places in India are a must visit?